Sophomore forward Arnaldo Toro drives to the hoop during a men's basketball game against Fordham Wednesday. Men’s basketball captured the lead in the opening seconds of Wednesday night’s game against Fordham and never relinquished the advantage in 40 minutes of play at the Smith Center. 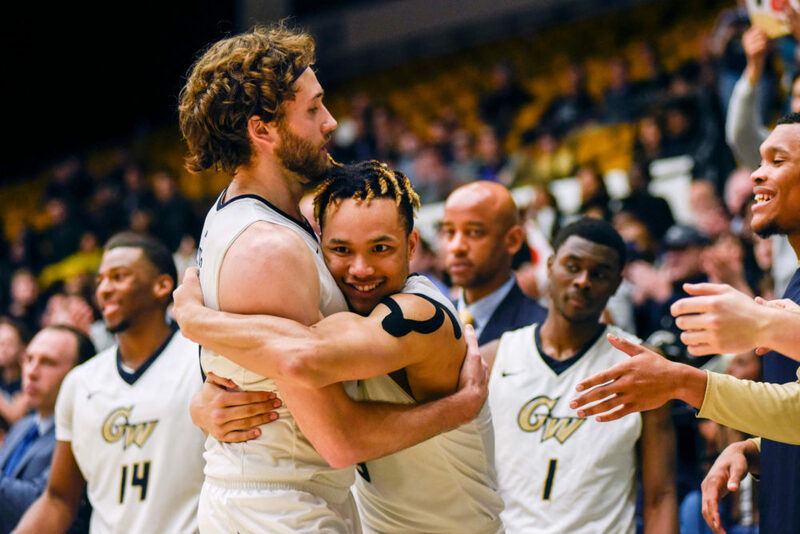 The Colonials (14-16, 7-10 A-10), who have now won five of their last seven contests, took down the Rams (9-20, 4-13 A-10) 72–56 on Senior Night despite a frenetic performance by GW. The victory was the last home game for the Colonials in the regular season and moved the Colonials to 12-5 on their own floor. Senior guards Yuta Watanabe and Jack Granger and graduate student forwards Bo Zeigler and Patrick Steeves all started in their final game at the Smith Center in their college basketball careers. Watanabe took the spotlight on the offensive end, scoring a career-high 31 points and nine rebounds on the night. Steeves tallied 12 points and two rebounds, while Zeigler grabbed eight rebounds and 10 points. Freshman guard Terry Nolan, Jr. grabbed a team-high nine rebounds and dished out six dimes on the night. GW ended the contest shooting 50.0 percent from the field on 29-of-58 shooting, but allowed the Rams to earn back 15 second chance points on 11 offensive rebounds. Fordham shot 33.8 percent from the field on a 22-of-65 clip and went 5-for-26 from beyond the arc. The Colonials nearly matched Fordham’s turnover total, racking up 14 turnovers compared to 12 by the Rams, and picked up 20 fastbreak points on transition offense. 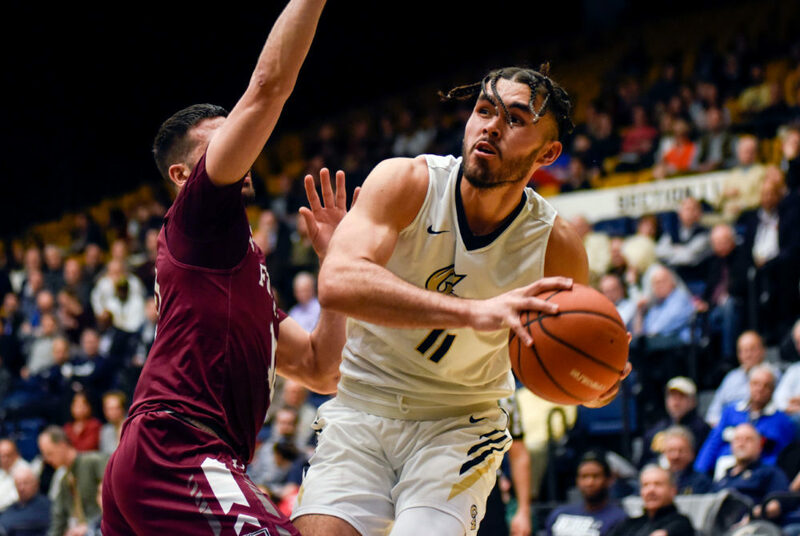 GW jumped out to a 15–4 lead six minutes into the game, following two back-to-back three-point shots and a field goal from Watanabe. Sophomore guard Jair Bolden and graduate student forward Patrick Steeves embrace during a men’s basketball game against Fordham Wednesday. With eight minutes left in the half, Watanabe already tallied 15 points – as many as the entire Fordham team at the time. 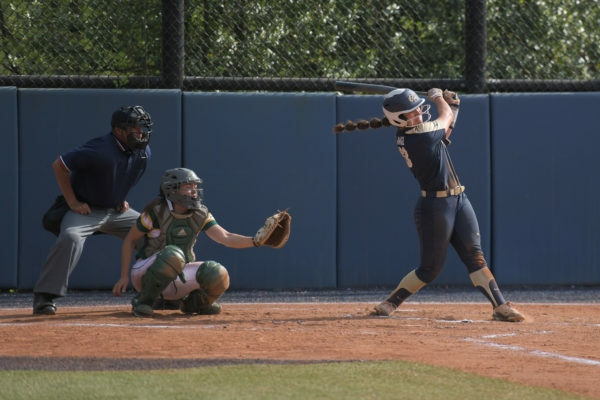 The Rams creeped back into the game midway through the first half, cutting an 11-point GW lead to just four points after a series of missed shots and GW turnovers spurred an 8–0 Fordham run. Timely shots from Fordham junior forward Prokop Slanina helped keep the Rams competitive in the first half, including a three-point shot that put Fordham within striking distance of the lead in the first frame. Slanina – who averaged 12.2 points heading into the match up – tallied 19 points and seven rebounds in the game. Fordham outscored the Colonials in the second half 31–28 but GW’s lead was too substantial to overcome. GW shot 42.3 percent from the field in the second half and led by as many as 24 points in the final frame. With just over three minutes remaining in the game, head coach Maurice Joseph put Granger in the game for a second time. Joseph said he did not plan on having the former manager start the contest, but players agreed before the game that it was what they wanted to do. The Colonials will play their final game of the regular season Saturday against Dayton. A win against the Flyers will secure the Colonials’ spot out of the bottom-four conference standings and give them a bye in the Atlantic 10 tournament. Joseph said he will continue to push the team to do better regardless of recent improved results.